Seeing as Thanksgiving is this week, I thought it might be a good idea to touch on the concept of “gratitude”. Why gratitude? 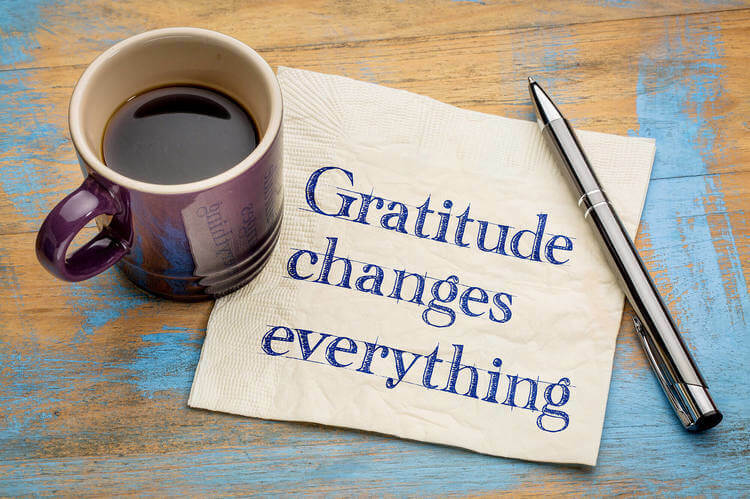 Because gratitude is the single most important factor in both health and happiness (and business). Have you ever run into those people who are always griping about something? They are always complaining about their employer, the government or friends. Nobody seems to appreciate their exceptional qualities and they never seem to be given the opportunities they ‘deserve’. You know these folks don’t you? Maybe you have a friend like this? Well let me tell you a secret: until these ‘Negative Nellies’ develop a sense of thankfulness and gratitude, they will not only remain unhappy, they will also be less healthy, have fewer friends, carry more stress and limit their ability to grow as a person and business owner. The good news is that gratitude is not something you are born with. It is a learned behavior. If your parents demonstrated a sense of gratitude, then there is a good chance you also see the world the same way. Gratitude can be taught and it can be learned. Before you go to bed, write down 5 things you are grateful for then read the list when you wake in the morning. Write ‘Thank You’ notes (hand written and mailed). Focus on telling 5 people each day how much you appreciate them – and mean it. Each day try to do something for someone else. Each day take a negative and find something positive in the situation (write it down). Finally, if you are generally a grateful person and you are happy, take this opportunity to share this message with one person who needs it. Remember, gratefulness is a learned behavior. Do your best to help someone else learn this important principle. Wishing you a wonderful Thanksgiving. Thank You!